It's simply not true that you need olive oil to roast a head of garlic. I chopped the top off of these two heads, wrapped them in foil tightly, and roasted them in my toaster oven at 400 degrees for one hour. BAM! 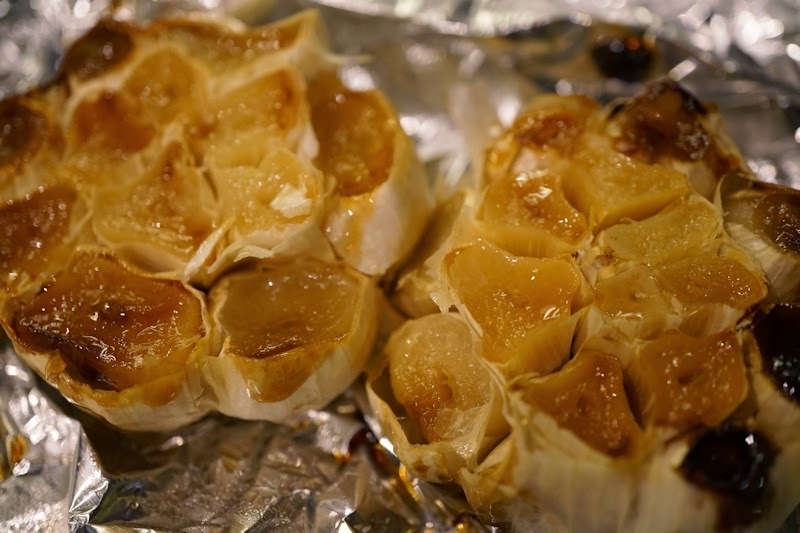 Sweet and delicious roasted garlic (to add to my hummus! ).